Dr. Chan received his B.Eng., M.Phil. and Ph.D. degrees from the Chinese University of Hong Kong, all in Information Engineering. Upon graduation, he joined the Department of Electronic Engineering at the City University of Hong Kong as a Research Assistant Professor. At both universities, he worked on high-speed all-optical tunable channel multi-access networks and surveillance techniques for fault identification in various kinds of optical network elements. In June 1999, he joined Bell Laboratories, Lucent Technologies, Holmdel, NJ, as a Member of Technical Staff where he worked on an optical packet switch fabric with terabit-per-second capacity. In 2001, he served as Senior Optical System Engineer at Jedai Broadband Networks, Inc. in NJ, USA where he worked on the design of optical access networks and optical-wireless systems. In August 2001, he joined Department of Information Engineering at the Chinese University of Hong Kong and now serves as a Professor. He has served as members of the Technical Program Committees of many international conferences, including OFC/NFOEC, OECC, ICCCAS, Photonic in Switching, APOC, ICOCN, COIN, ICCS, ICCC, ICCT, PGC, ChinaCom, ICAIT, IPOC, etc. He was an Associate Editor for OSA Journal of Optical Networking and IEEE/OSA Journal of Optical Communications and Networking. He served as the Chairman for IEEE Photonics Society Hong Kong Chapter during 2012-2013. 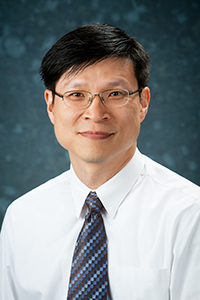 Dr. Chan has published more than 200 technical papers in refereed international journals and conferences, two book chapters on passive optical networks and one edited book on optical performance monitoring. He holds two issued US patents. Physical layer design of next generation high-speed optical metro/access networks to perform efficient high-speed data packet add-drop and cross-connect. Enabling optical techniques to enrich the networking capability of wavelength division multiplexed passive optical networks (WDM-PONs): fault detection and network protection architectures, optical virtual private network, colorless and sourceless optical network units, optical broadcast/multicast overlay. High-speed optical signal processing techniques for networking applications, including optical label switching, wavelength conversion, advanced modulation formats and their transmitter designs, optical physical layer network coding. Advanced techniques for optical performance monitoring of various optical system parameters, including optical signal-to-noise ratio, chromatic dispersion, polarization mode dispersion, time misalignment. Network layer design of optical networks, including network protection and restoration, multicast, traffic grooming, network resource placement and optimization. S. Gao, L. C. Huang, C. K. Chan, “Pilot-aided optical signal-to-noise ratio estimation for direct-detection OFDM systems,” IEEE Photonics Technology Letters, vol. 27, no. 11, pp. 1165-1168, Jun. 2015. X. Guan, C. K. Chan, “Physical-layer network coding in coherent optical OFDM systems,” Optics Express, vol. 23, no. 8, pp. 10057-10063, 2015. T. W. Bo, L. C. Huang, C. K. Chan, “Common Phase Estimation in Coherent OFDM System Using Image Processing Technique,” IEEE Photonics Technology Letters, vol. 27, no. 15, pp. 1597-1600, May. 2015. T. W. Bo, S. Gao, K. H. Tse, C. K. Chan, “A pilot-correlated PMD monitoring scheme for direct-detection optical OFDM systems,” IEEE/OSA Journal of Lightwave Technology, vol. 33, no.13, pp. 2884-2891, Apr. 2015. Z. Y. Fan, Y. Qiu, C. K. Chan, “Dynamic multipath routing with traffic grooming in OFDM based elastic optical path networks,” IEEE/OSA Journal of Lightwave Technology, vol. 33, no. 1, pp. 275 - 281, 2015. K. H. Tse, C. K. Chan, “A coded-subcarrier-aided chromatic dispersion monitoring scheme for flexible optical OFDM networks,” OSA Optics Express, vol. 22, no. 16, Aug. 2014. C. Xiang, C. K. Chan, J. Wang, “Proposal and numerical study of ultra-compact active hybrid plasmonic resonator for sub-wavelength lasing applications,” Scientific Reports, vol. 4, no. 3720, 2014. Y. Qiu, C. K. Chan, “A novel survivable architecture for hybrid WDM/TDM passive optical networks,” Optics Communications, vol. 312, pp. 52-56, 2013. Y. Qiu, and C. K. Chan, "Optical overlay of multicast stream on a survivable WDM passive optical network," IEEE Photonics Technology Letters, vol. 25, no. 6, pp. 584-586, Mar. 2013. Y. Qiu, and C. K. Chan, "Characterization of an optical frequency-shift-keying transmitter based on carrier-suppressed phase modulation," Optical Fiber Technology, vol. 19, pp. 227-230, 2013. W. Jia, Y. Matsui, D. Mahgerefteh, I. Lyubomirsky, C. K. Chan, "Generation and transmission of 10-Gbaud optical ¾-RZ-DQPSK signals using a chirp managed DBR laser," IEEE/OSA Journal of Lightwave Technology, vol. 30, no. 21, pp. 3299-3305, 2012. Z. X. Liu, M. Li, L. Lu, C. K. Chan, S. C. Liew, and L. K. Chen, "Optical physical-layer network coding," IEEE Photonics Technology Letters, vol. 24, no. 16, pp. 1424-1427, Aug. 2012. W. Jia, and C. K. Chan, "Generation of return-to-zero optical pulses using directly modulated chirp managed laser," IEEE Photonics Technology Letters, vol. 24, no. 14, pp. 1227-1229, Jul. 2012. K. H. Tse, and C. K. Chan, "A path tracing scheme for all-optical packet-switched networks," IEEE/OSA Journal of Lightwave Technology, vol. 30, no. 11, pp. 1625-1631, Jun. 2012. D. Shen, and C. K. Chan, "Translucent optical network planning with heterogeneous signal modulation formats," IEE/ OSA Journal of Lightwave Technology, vol. 30, no.9, pp. 1335-1341, May 2012. K. H. Tse, and C. K. Chan, "A novel fiber-based variable all-optical packet buffer based on self-phase modulation induced spectral broadening," IEEE Journal of Selected Topics in Quantum Electronics, vol. 18, no. 2, pp. 654-661, Mar./Apr. 2012. Y. Qiu, and C. K. Chan, "A novel WDM passive optical network architecture supporting two independent multicast data streams," Optical Fiber Technology, vol. 18, pp. 29-33, Feb. 2012. D. Shen, K. H. Tse, and C. K. Chan, "Adaptive fault monitoring in all-optical networks utilizing real-time data traffic," Journal of Network and Systems Management, vol. 20, no. 1, pp. 76 - 96, Feb. 2012.